P.S. If you’re using a sat nav to find us, we find the postcode ‘SA62 6LB’ works better.  Newgale Lodge is set amongst quiet, secluded countryside just a mile from the coast and the golden strand of Newgale Beach. We’re also within easy reach of St Davids, Britain’s smallest city and the home of the magnificent St Davids Cathedral and Bishops Palace. Pretty Solva Harbour with its eclectic mix of boutique shops, pubs and restaurants is even closer. Inland you can discover the remote Preseli Hills, source of the Bluestones at Stonehenge. From the East, take the M4, A40 to Haverfordwest. At Haverfordwest, take the A487 to St. Davids, passing through Newgale Beach. at the crossroads into Newgale Lodge. Take train to Haverfordwest Station. Take Bus 411 (to St. Davids) and alight at Pen Y Cwm.